Delhi Chief Minister Arvind Kejriwal on Thursday condemned the Gurugram school bus attack incident and said that it was a matter of great concern for the nation. "Yesterday, some people pelted stones on the school bus in Gurugram. I could not sleep the entire night. 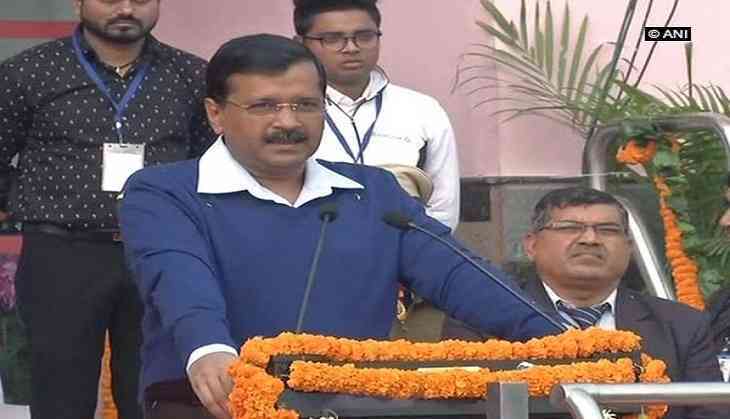 If our children are pelted with stones on the Republic Day eve, a few kilometers away from the nation's capital, it is a matter of shame for the entire nation," Kejriwal said. The situation became tense in Haryana's Gurugram yesterday after the people protesting the release of the film Padmaavat hurled stones at the bus, which was ferrying students, teachers and staff of GD Goenka World School. Section 144 has already been imposed in Gurugram, which will be in effect until January 28. In some states, including Uttar Pradesh, Telangana, Gujarat, Maharashtra and Haryana, the members of Karni Sena and other fringe outfits have resorted to burning posters and vandalising the ticket counter of the movie theaters. Meanwhile, security forces have been deployed at various multiplexes in several states across the nation to ward off any untoward incidents.